Beach re-nourishment, Southern California. Photo source: © SAF — Coastal Care. 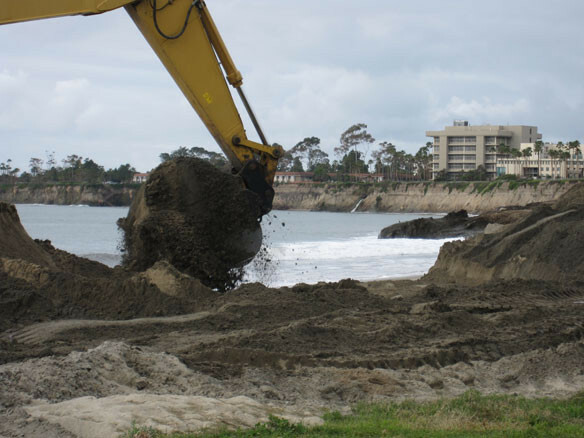 First of a two-part look at La Jolla beach erosion. A carpet of pebbles covers the sands of Tourmaline Surfing Park. The ocean washes the rocks at WindanSea. The waves dangerously approach Highway 101 at Torrey Pines. La Jolla beaches, in Southern California, present an erosion level that has surprised residents and visitors this spring.